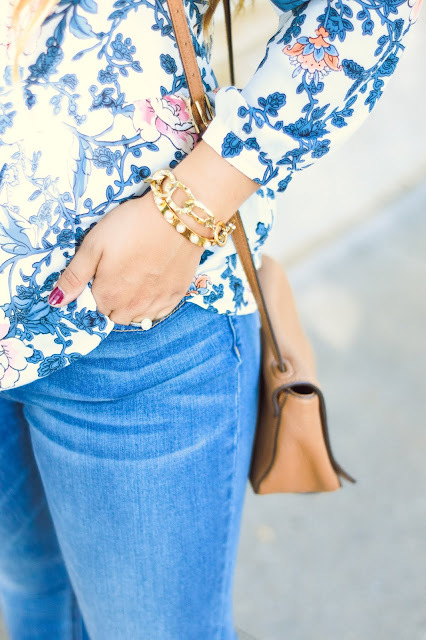 In my book, florals are a print that are both timeless and season-less. 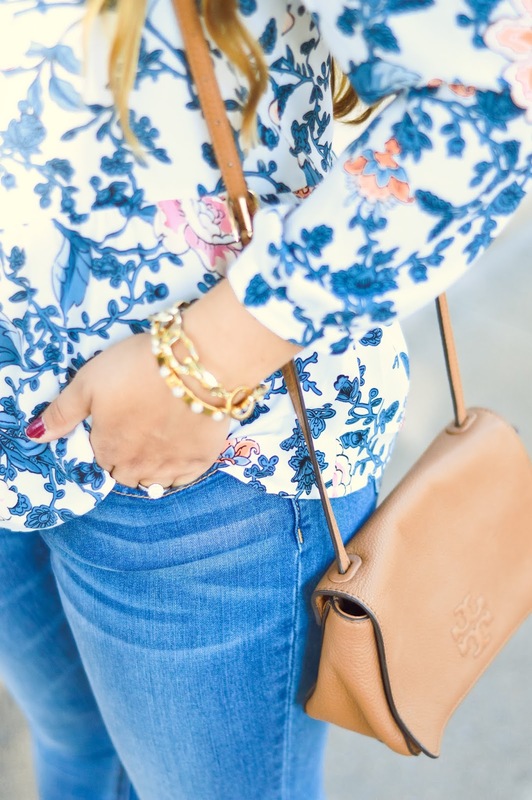 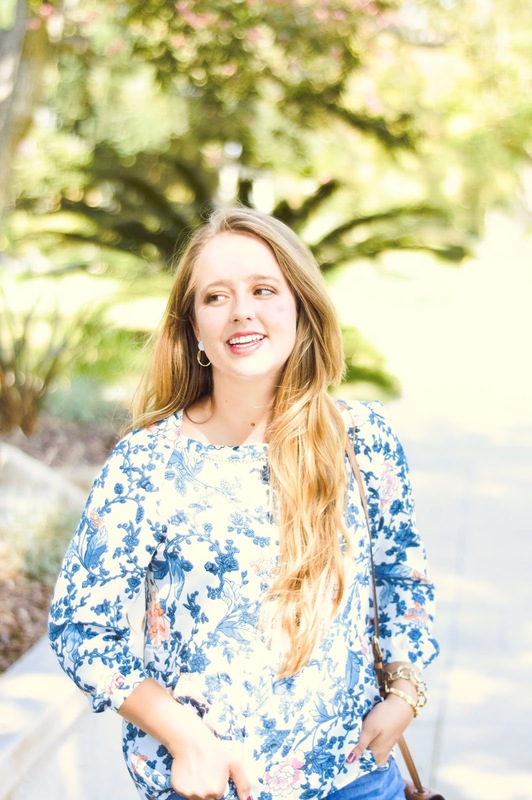 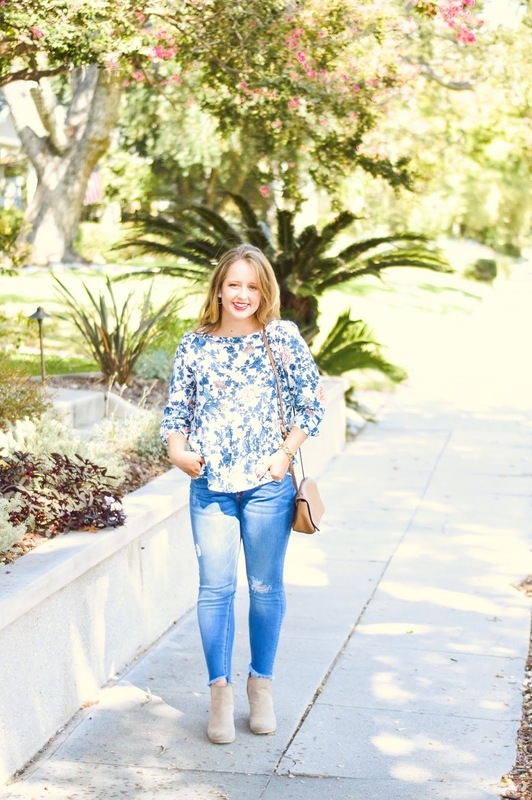 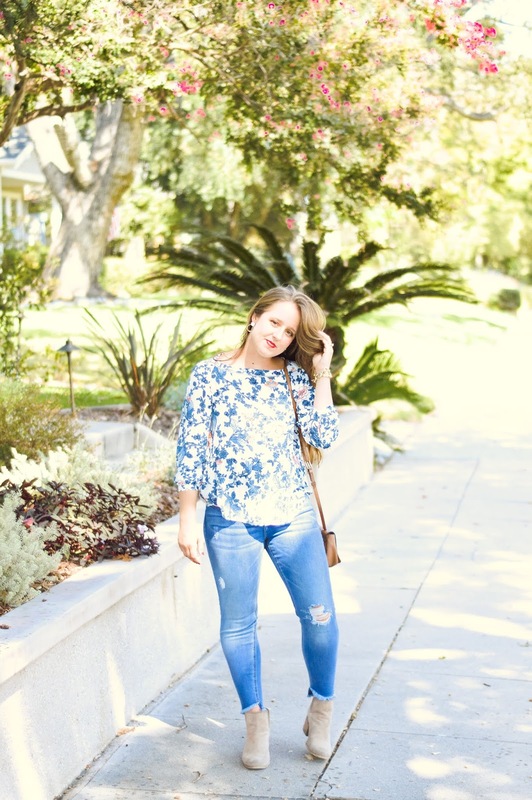 Even though I love burnt orange hues and chunky scarves as much as the next girl, I also love finding floral tops that I can wear throughout the year--including fall! 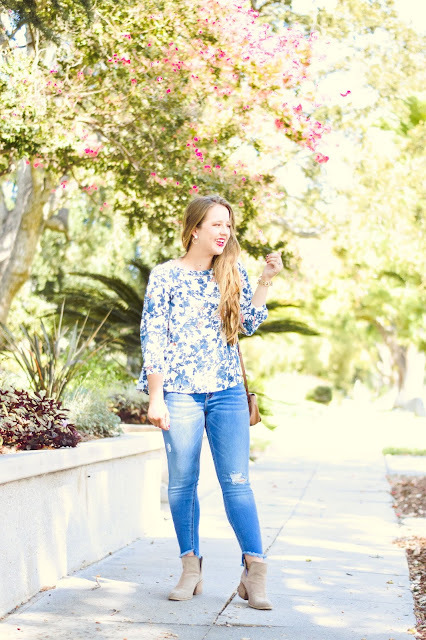 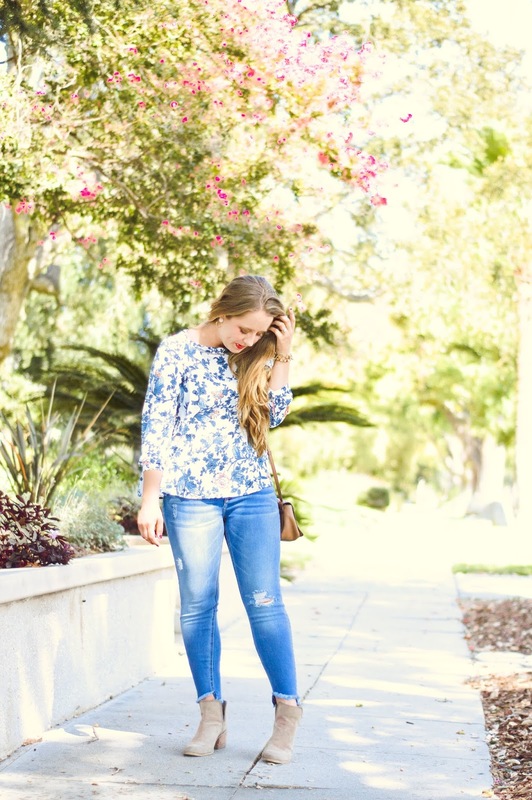 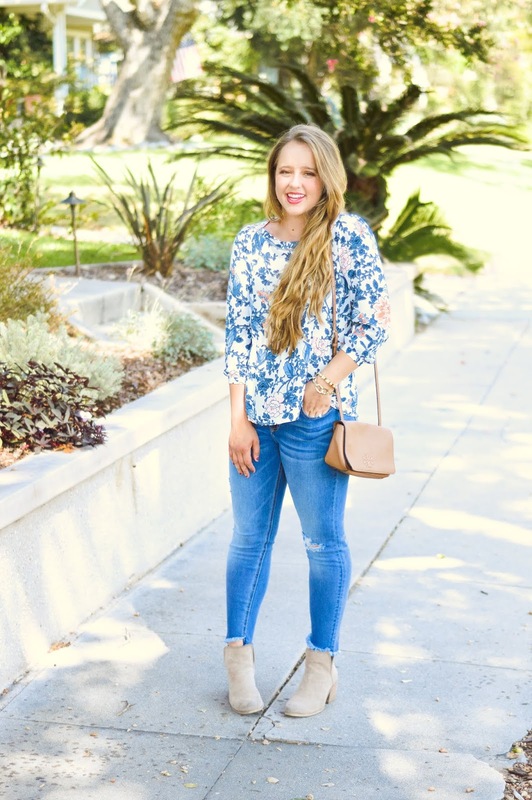 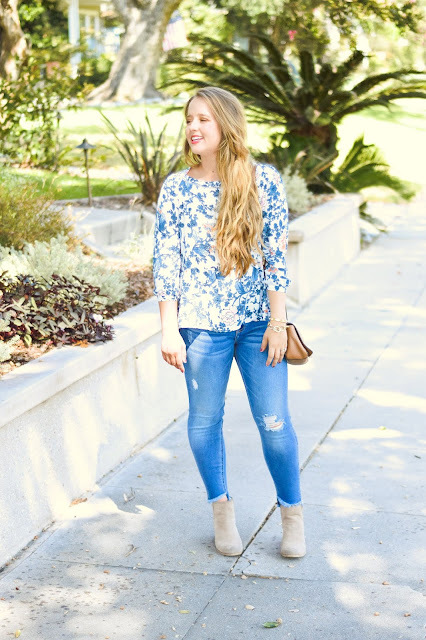 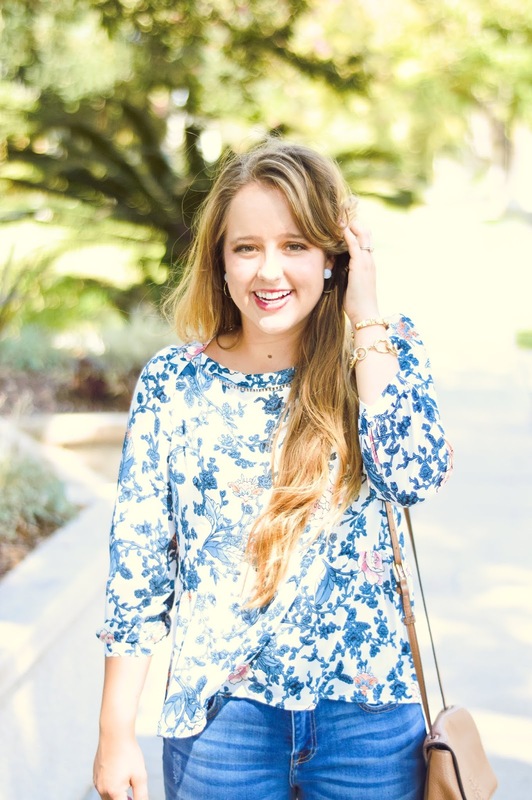 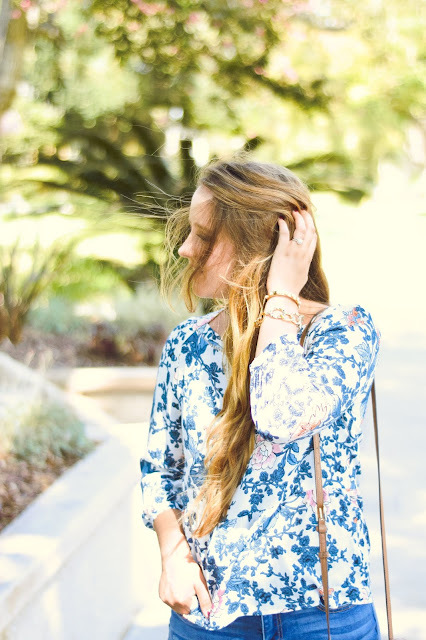 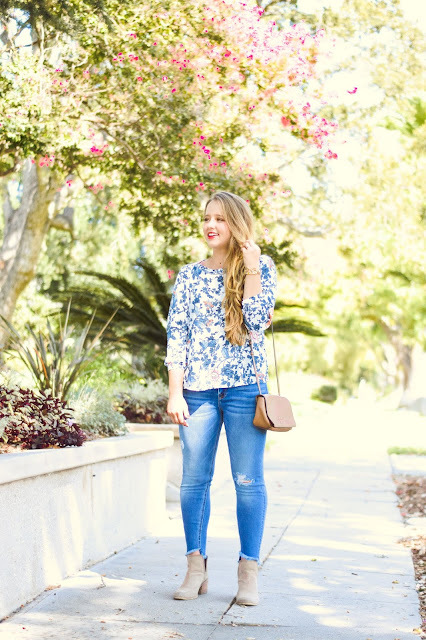 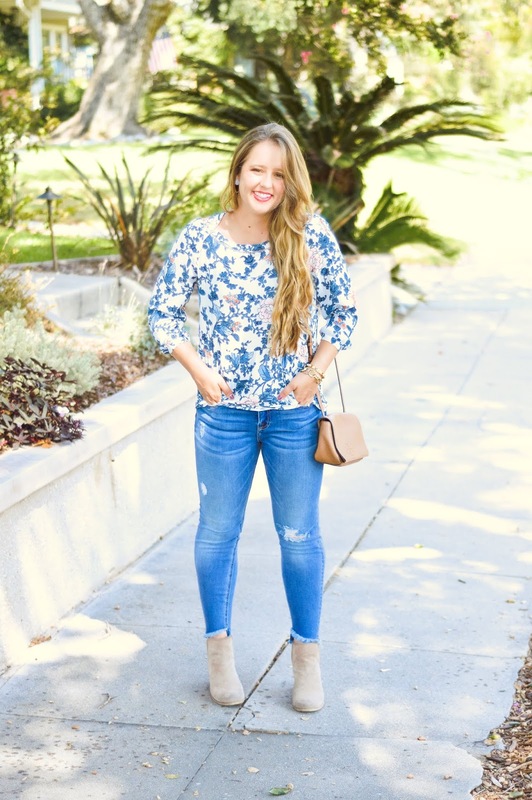 I stumbled across this floral peplum top and I knew it was the perfect top that I could style yearlong. I'll be wearing it with jeans now, but come spring, I'll be pairing it with a cute denim skirt and fresh sandals. 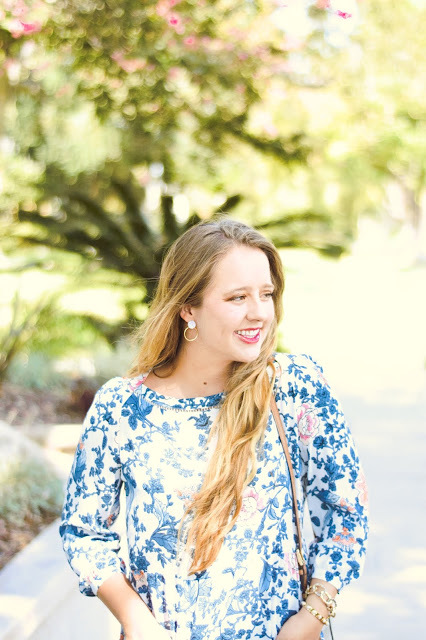 Also, for all of my teacher friends, is it not the perfect teaching top?! Here's to hoping that you have a lovely week ahead! 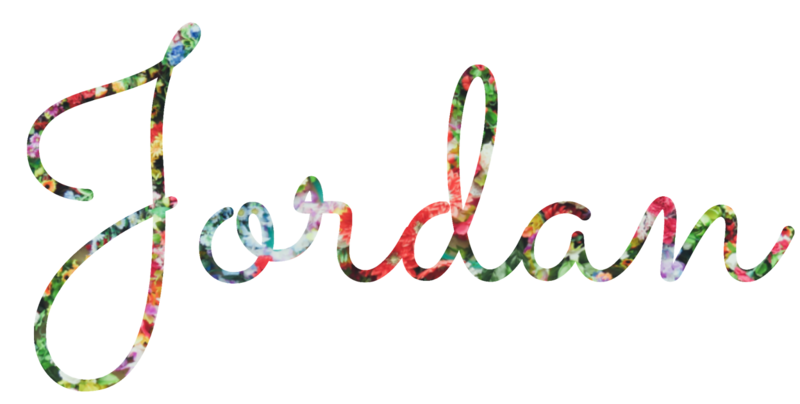 The weather out here will finally start cooling off a little by a ten degree decrease . . . but that just means we will go from 95 degree weather to 85 degree weather (lol still not fall quite yet)!